Cliff Joyner Construction is a local Black Forest general contractor with over 2 decades of experience. We understand the unique Colorado climate and challenges related to building a new home, remodel or addition in a place where there are extremes in weather - cold, snow, ice and wind. Cliff has top subcontractors and can provide you insight and advice on how to get the most features and value for your new home investment. Black Forest is a special place that has been growing rapidly but still offers acreage and gorgeous Colorado views - providing serious value for your real estate investment - making it a great place to put down roots where you can enjoy the Colorado lifestyle in luxury and privacy. Most building, design and construction management experience includes over 25 years of experience as a general contractor. We're a licensed general contractor, member of the Better Business Bureau and the Home Builder's Association. We pride ourselves in delivering spectacular results and using top quality subcontractors and employees. Because all our homes and additions are custom designed for the customer and their lot, you get a perfect home that fits your lifestyle, taste and budget. When you're ready to build a new home, addition or rennovation for your existing home Cliff Joyner Construction is a builder you can trust. He can help you during the design process and helps making the selection of building materials and design ideas so everything stays within your budget, meeting the look you want too. Black Forest is a beautiful location El Paso County, Colorado, near Colorado Springs and just south of Monument, Colorado. The prices of homes have rapidly grown in recent years making building a new home a great investment opportunity. The population has been growing and is now over was 13,000. Black Forest is famous for is evergreen Ponderosa Pine forests and proximity to the US Air Force Academy. 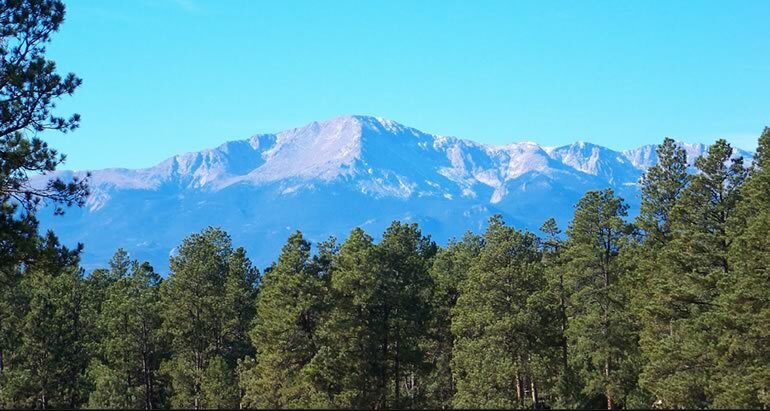 With an elevation at over 7,000 ft. Black Forest will experience white winter snows and many locations have breath taking views of the front range and Pikes Peak. 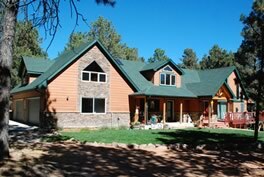 Black Forest is just north and east of Colorado Springs with a wide range of homes from old farms and cabins to large estates with multi-million dollar homes. Black Forest is also a bedroom comunnity for commuters to Colorado Springs, but has a small town, Colorado lifestyle that makes it a special place to live. Your Black Forest General Contractor for New Homes, Additions and Remodels! When you’re ready to do home improvements or to build a new home, you'll want to hire an experienced general contractor with years of experience and the "know-how" to get your project done right - on time and on budget. Cliff Joyner Construction has decades of experience handling challenging projects which require coordinating teams of expert craftsmen that excell at delivering top quality craftsmenship to every part of the job. Just a word of advice...if you want to try to become a general contractor on a large basement remodel or new home, our best advise is leave that to a professional because, without the knowledge and experience required, trying to manage a complex construction job will likely cost you time, money and headaches in ways you never dreamed of! The bottom line is that hiring the right general contractor can help ensure your home construction project will result in a job "well-done" and add value to your home and be a great investment you can live in too! Before you decide an agreement with anyone else we ask you to give us a ring. You can look around our website and see dozens of examples of home improvement projects we've worked on in the Monument and Black Forest area. We use only the best subcontractors and can help you with estimating, pricing and provide invaluable expertise from start to finish!